A fairly quick pace through the early minutes of the game, as both Brody Claeys and Tyger Howat facing some chances early. At a whistle just 3:09 into the game, Howat would come out of the game after apparently tweaking something in his lower body. Lawson Fenton would enter the game in relief. Just two and a half minutes later the Bulldogs opened the scoring as Marshall Skapski made a great one-on-one defensive play on an Owen Stout rush. Troy Dobbs would then sent Liam Conrad up ice, where he carried it over the Express line before setting up Cayden Kraus in the slot. Kraus would make no mistake, snapping a perfect shot top corner over the blocker of Fenton at 5:35 of the first. The Dogs would end up in the penalty box two minutes later, but they would build their lead while shorthanded as Chris Sarault fought the puck out of his own zone and carried it up the right side over the Coquitlam line. He would then go to the net and accept a pass from Liam Conrad to skate in alone where he also lifted a shot high, blocker side to make it 2-0 while shorthanded at 8:20 of the first. Shots favoured the Bulldogs 10-8 after 20 minutes. The Express started the second period with a push as they tried to get back into it, but the Dogs pushed back and generated some offense of their own before going up 3-0 on Chris Sarault's second of the game as Owen Johnson won a battle on the boards at centre as the puck went to the middle of the ice. Chris Sarault would find it, and quickly head-man it for Liam Conrad up the right side and drive the net. Conrad put a perfect fed in tight that Sarault deflected home just inside the far post at 6:52 of the second. The Dogs built the lead to 4-0 later in the period after holding off some Express pressure as Chris Schutz knocked the puck loose in the left corner on the forecheck. Garrett Halls would keep it in at the left point where he put a quick shot low on net that eluded Fenton low, short-side at 13:34 of the second. Just two minutes later the Dogs drew a power play on what appeared to be a legit, put possibly somewhat of a soft call. They would make quick work of it, as Jordan Sandhu set up Chris Schutz on the left half-boards, where he fed Ryan Finnegan in the slot. He put a perfect back-pass onto the tape of Paul Meyer in the left circle, where he put a hard one-timer low and on net. Fenton would make the first save, but the rebound went cross-ice and onto the tape of Chris Schutz who made no mistake one-timing it home into the open side to build the lead to 5-0 at 15:53 of the second. The Dogs out shot the Express 22-11 in the period, for a 40 minute advantage of 32-19. The Express pushed hard to start the third, and immediately got on the board to snap Claeys' shut out bid as Mitch Newsome was set up in front by Colton Kerfoot where he snapped one home high, short-side before Claeys could get set at 46 seconds of the third. An odd one made it a 5-2 game just three minutes later when the Dogs won a draw in their end and a defenseman tried to cut through the crease, only to fan on a pass and have Cameron Bertsch follow him and chop it off his stick and up and over Claeys from in tight. The goal was unassisted at 3:47 of the third. Just a minute prior Claeys came up with a big breakaway save on Bertsch. Bertsch would have another breakaway to get the Express within two, but Claeys kept it out. That would prove huge, as just a minute later it was a 6-2 game when Tristan Bukovec chipped the puck below the goal line for Jordan Sandhu, who out-worked an Express defender and threw a perfect pass to the slot for Chris Schutz who one-timed it home past the blocker of Fenton at 5:11 of the third. The Dogs further built their lead to 7-2 just short of the midway mark of the period as Eric Margo made a good play to block and point shot and throw a check, allowing Owen Johnson to send Nathan Dingmann on an odd-man rush up the left wing. He would fight off a defender and then set up Quinn Syrydiuk in the slot where he snapped it home far-side past the blocker of Fenton at 9:49 of the third. Just 1:02 later the Dogs caught got napping and Charlie Barrow raced the puck up the left wing and drove the net. The first attempt stayed out, but Colton Kerfoot found the loose puck below the goal line and banked it in from a sharp angle to make it 7-3 at 10:51 of the third. There would be plenty of opportunities for both sides the rest of the way, but that would complete the scoring. Final shots favoured the Bulldogs 42-35, with Brody Claeys picking up the win while Lawson Fenton took the loss in a relief effort. The Dogs went 1 for 5 on the power play while the Express went 0 for 3. With the win the Dogs have won two in a row, and are within four points of the Grizzlies for 4th place in the Island Division. The Dogs are next in action Friday when they host Victoria. They host Penticton on Saturday night. It's the second and final regular season meeting between the teams today as the Bulldogs (17-24-3-3, 5th Island) host the Coquitlam Express (20-22-4-1, 4th Mainland) for a 2pm puck drop at the Multiplex. The Dogs were in Victoria last night where they picked up a huge 6-3 win. The Express were in Duncan last night, where lost their third straight, 5-0 to the Capitals. 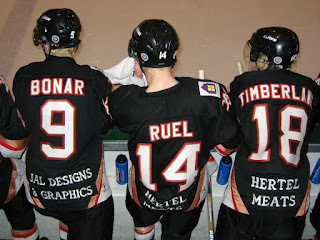 They have had a busy week, as they hosted Wenatchee on Wednesday night where they lost 4-2 and were in Powell River on Friday night where they were on the wrong end of a 5-2 score. These teams last met December 6th in Coquitlam, a 5-4 Bulldog win in double overtime. Prior to last night's win in Victoria, that was their last win on the road. If you can't make it to the game, we will bring the game to you on Pacific Chevrolet Bulldogs Hockey on 93.3 The Peak FM. The puck drop is at 2:00pm, with the pregame show on the air starting at 1:45 with myself, Bruce MacDonald and Dan Tisserand comprising the crew in the booth bringing you the play-by-play, colour and analysis and team and player statistics. 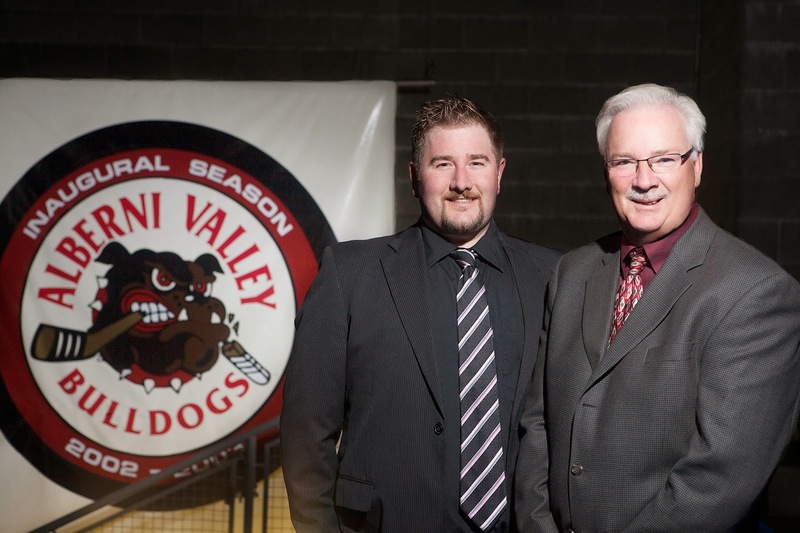 Today's 2nd Intermission guest is Port Alberni Native and former Bulldog Josh Bonar - who has now come full circle from a player as he is now on the Bulldog Scouting Staff. Josh is a pretty neat story, as he is a local player from the a different era, growing up when there was no Multiplex and no Bulldog franchise. As we talk about during the interview, he's been involved in hockey as both a player and now a coach, for almost half of his life. He returned from the WHL to play for the Bulldogs from the 2003-2004 through 2004-2005 seasons before playing two years of CIS Hockey. He then turned pro and has seen the world while doing it, playing in the Central Hockey League and the Southern Professional Hockey League along with stops overseas in Norway, Hungary, Romania and Kazakhstan. Along with helping the Bulldogs on the scouting side of things, he's also working as a coach with the Burnaby Winter Club AND has his foot in the door with the Vancouver Canucks, working as an assistant to their coach in their video department, which is pretty darn cool if you ask me! The first minute or two was somewhat tentative, but the Bulldogs soon took control of the play by a considerable margin. They would take a 1-0 lead just three minutes into the game when Liam Conrad forced a turnover in the right corner and put a perfect pass to the slot for Chris Sarault, who one-timed it home low through Matt Galajda to make it 1-0 at the 3:00 mark of the first. The Dogs kept up the pressure, building a 10-1 lead in shots by the ten minute mark of the first. Less than two minutes later they doubled their lead when Troy Dobbs put a nice pass to the side of the net for Rhett Willcox, who put a perfect feed cross-crease onto the tape of Quinn Syrydiuk who one-timed it home from the lip of the crease to make it 2-0 at 11:08. The Dogs would get in penalty trouble immediately afterwards, killing off a minor penalty to protect their lead. A minute later they picked up another penalty, followed by another a minute after that which awarded the Grizzlies a 5 on 3 power play for 59 seconds. The Dogs would see the light at the end of the tunnel of the two man advantage, but a poor clearing attempt saw the Grizzlies capitalize as PJ Conlon lifted a loose puck home at the side of the crease above a sliding Carson Schamerhorn to make it 2-1 at 15:52 of the first. Assists on the play went to Cody Van Lierop and Cole Pickup. The Dogs were not surprisingly awarded a power play before the period was out, but they couldn't find the net before the period ended. Shots in the first favoured the Bulldogs 15-7. The Bulldogs made good use of the power play time that carried over to start the second, building their lead to 3-1 just 21 seconds into it as a Paul Meyer shot from the right point was deflected wide of the net by Nathan Dingmann. It hit the end boards and caromed out to the opposite post where it was found by Chris Schutz in tight where he lifted it home on the scramble. Just two minutes later the Dogs went up 4-1 when Schutz found the net again, as Owen Johnson put a shot on net from the right point that appeared to be deflected by Tristan Bukovec. Matt Galajda would make the first save, but it rattled around in his pads and dribbled out onto the right side of the crease where Schutz again lifted it home at 2:45 of the second. 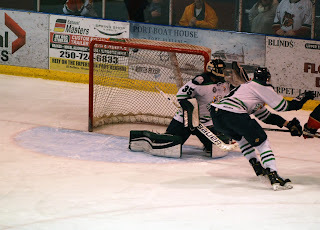 The Grizzlies would answer back just two minutes later as they caught the Dogs up ice on a long pass that resulted in a breakaway chance for PJ Conlon that he finished top corner over the glove of Schamerhorn at 4:14 of the second with Cody Van Lierop drawing the only assist. The score stayed that way with a good Bulldog penalty kill protecting the lead, before a power play chance saw them open up a 5-2 lead when they connected just 9 seconds into the advantage as Eric Margo made a nice play to work the puck under pressure into the right circle for Tristan Bukovec. He would snap a quick cross-ice pass to the top of the crease where Adam Donnelly deflected it home five hole at 12:32 of the second. The Dogs out shot the Grizzlies 9-5 in the period, for a 40 minute advantage of 24-12. The Dogs protected the lead through the early moments of the third, with the Grizzlies pressing hard to get back into it. A Victoria power play chance would be taken away by an unsportsmanlike conduct penalty by the bench with 35 seconds left in the advantage. Just seconds after Nathan Dingmann stepped out of the Dogs penalty box it was a 6-2 lead as affiliate player Marc-Antoine Gagnon rimmed the puck from behind the Dogs net and up the right wing where Ryan Finnegan found it and raced past a fallen Cody Van Lierop. He walked all the way to the net in tight down the right wing before he snapped one home high short-side past the glove of Galajda at 6:16 of the third with Gagnon drawing the only assist, his first BCHL point in his first game. The Grizzlies would answer just 59 seconds later when Nick Guiney deflected a Nico Sommerville point shot through the legs of Schamerhorn with Brett Stirling drawing the other assist at 7:15 of the third to make it 6-3. The Grizzlies pushed to get back in the back half of the period, but Schamerhorn was solid when tested to preserve the lead as the Dogs killed the clock to make the lead stand. Final shots favoured the Bulldogs 35-26 with Carson Schamerhorn picking up the win in net while Matt Galajda took the loss. The Dogs went 3 for 4 while the Grizzlies went 1 for 5. 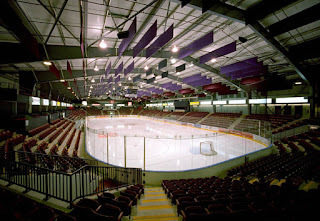 The Bulldogs are back home tomorrow night at 2:00pm when they host the Coquitlam Express. The Bulldogs were last in action Wednesday night at home where they fell 5-3 to the Clippers in controversial fashion. The Grizzlies were in Nanaimo last night, where they won their seventh in a row 6-3 over the Clippers. It goes without saying that if the Bulldogs have aspirations on making the post season that this is as close to a must-win as it gets. All isn't of course lost if a loss is the end result tonight - they can go on a solid run the rest of the way, beat the Grizzlies in the next head-to-head meeting and get some help on the out of town scoreboard. They can't look at it that way though, it needs to be a desperate effort leaving everything on the ice, playing it like it might be their last. This is one of only two opportunities to play the Grizzlies in a four point game the rest of the season and they can't let the opportunity pass them by. The season series has been an odd one - the teams met three times in a three week span early in the season from the end of September to early October, all Bulldog wins. The teams then met three times in a three week span from the end of November to mid December, all Grizzlies wins. 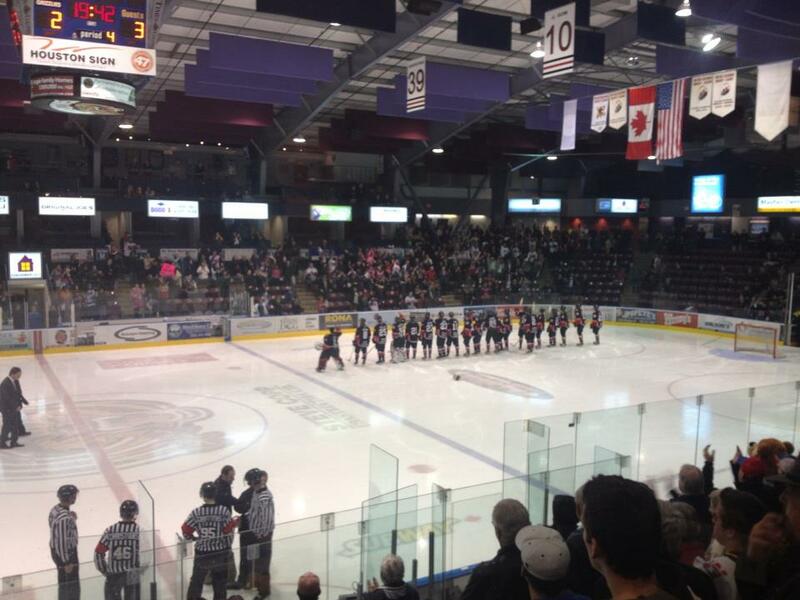 The most recent meeting was at the Dog Pound on December 17th, a 7-0 Victoria win. The season series has been a tight one, with that game being an anomaly with the previous scores in order being 3-2, 4-2, 4-2, 4-2, and 4-2. Further stats from the season series - the Grizzlies have out scored the Dogs 21-15, and the Dogs have out shot the Grizzlies 186-171. The Bulldogs have gone 1 for 17 on the power play in the season series, while also scoring twice while shorthanded. The Grizzlies have gone 8 for 31. 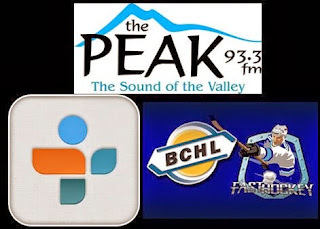 We'll bring all the action to you on Van Isle Ford's Bulldogs Hockey Broadcasts on 93.3 The Peak FM, with the pregame show starting the proceedings at 6:45 with all the game action to follow at 7:00. I will call the play-by-play while Dan Tisserand will compile team and player statistics. Tonight's 2nd Intermission guest is Eddie Gregory, play-by-play voice of the Coquitlam Express, who make a visit to the Dog Pound tomorrow for a 2pm puck drop. A high pace from the outset, as the Bulldogs had three great chances through the five or so minutes of the game on partial breakaways down the left wing for Tristan Bukovec, Cayden Kraus and Eric Margo, but Evan Johnson was solid in the Nanaimo net with a series of big saves to keep it scoreless early as the Dogs ran up an 8-3 lead in shots. The Dogs would fail to connect on the first power play of the game, before the Clippers got an advantage on a retaliatory call when a Bulldog defender reacted to a hard hit when what I thought was a pretty healthy run was taken at him in the corner. 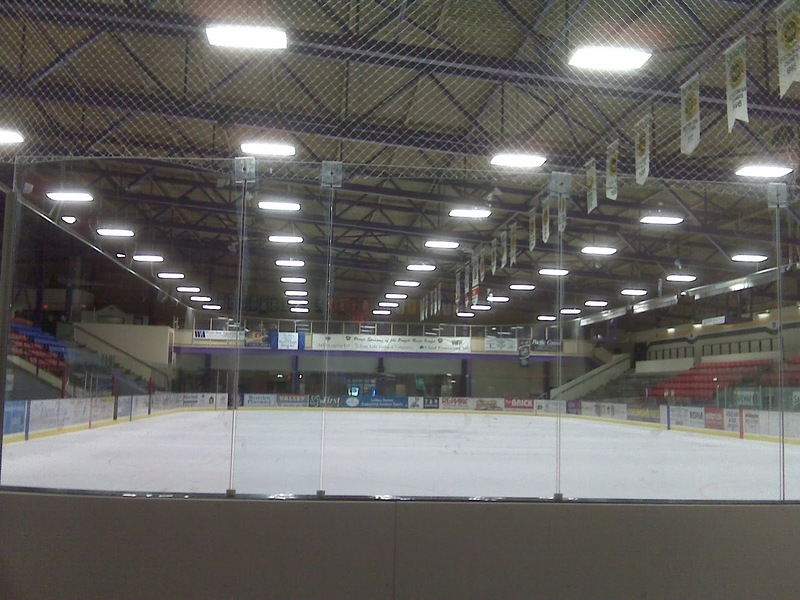 The Clippers would make the Dogs pay and go up 1-0 on the rush as a defender stepped up at the line and missed, resulting in an odd-man chance that saw Matthew Hoover put a cross-ice pass onto the tape of a streaking Devin Brosseau who deflected it perfectly over Brody Claeys and under the cross-bar. Will Reilly also drew an assist on the play at 14:51 of the first. Another Bulldog penalty and another Clipper power play goal made it a 2-0 game two and a half minutes later as Brody Claeys made two good initial saves, the second on a deflection attempt in the slot. Devin Brosseau would bunt the puck in through a mad scramble in the crease, with assists going to Sheldon Rempal and Yanni Kaldis at 17:31 of the first. Shots favoured the Clippers 12-11 after one. The Clippers looked like the team down a couple goals to start the second while the Dogs looked perhaps rattled with how the first had ended. A fantastic save by Brody Claeys on a terrible giveaway resulting in a breakaway for Devin Brosseau kept it 2-0 in the first minute, but the Clippers continued to push and connected on their third straight power play to make it a 3-0 game just short of four minutes into the period when Sheldon Rempal put it on a tee for Will Reilly in the deep slot where he blasted a one-timer home long side past the blocker of Claeys at 3:50 of the second. The Clippers appeared to blow it open a minute and a half later, going up 4-0 when Matthew Hoover took a pass in the slot off the right wing from Sheldon Rempal that he pulled through a defender and snapped a quick release just through Claeys and over the line. Devin Brosseau also drew an assist at 5:27 of the second. The Bulldogs would get back into it a minute and a half later when they won a faceoff in their own end and attacked on the rush as Quinn Syrydiuk found Jordan Sandhu at the Dogs line, where he sent Chris Schutz through centre. Schutz would give it to Sandhu over the line and drive the slot where he took a return pass and ripped it home top corner, short-side over the glove of Johnson to make it 4-1 at 8:02. It was Schutz again four minutes later, winning a draw to the half boards to Jordan Sandhu who fed the puck back to the right point for Garrett Halls. He would just simply wrist one on net, with Schutz finding the rebound and sliding it home to make it 4-2 at 12:20 of the second. Just a minute and nineteen seconds later, after a good in-tight save by Claeys on Lucas Finner, the Dogs made it a one-goal game with the patented goals-in-bunches that the Dog Pound seems to always produce, as Eric Margo put a backhand on net off a Troy Dobbs wrap around that was stopped by Johnson. Tristan Bukovec while diving would slide the rebound home at the side of the net to make it 4-3 at 13:39 of the second. Shots in the period favoured the Bulldogs 13-12, for an even shots on goal total of 24 aside after 40 minutes. The Dogs came out with a good push to start the third, but then took a penalty in the first minute. Brody Claeys would make a ridiculous shoulder save on a cross-ice against the grain one time chance in tight for Devin Brosseau. The Dogs would push and control the better of the play, having several great looks to get the equalizer, most notably when Tristan Bukovec drilled the cross-bar from the deep slot only to have the puck go out of play. The score stayed 4-3 until the late stages of the game, when the Dogs appeared to tie it up when Jordan Sandhu fed Chris Schutz with a perfect cross-ice pass that he appeared to rip over Johnson and off the back bar and back out to set off a wild celebration as the fans rained hats onto the ice. The Referee off to the side of the net, Adam Griffiths would rule no goal immediately, and then immediately indicate that he was going to the goal judge. A long conversation with the goal judge ensued, with the second Referee joining in. The Officials apparently didn't like what the judge had to say, left his presence and then had their own two-man conversation. At the end of it, no goal would be allowed as the fans rained down a chorus of boos. In what had to be an absolute nightmare for the Officials, instead of it being a tied game just seconds later it was a two-goal game as the Dogs coughed the puck up and Matthew Hoover picked it off in the slot where he walked to the top of the circles and ripped a shot past the stick side of Claeys to make it 5-3 at 14:52 of the third, with Sheldon Rempal and Devin Brosseau drawing the assists. That would be the insurance goal, with the Dogs coming close late but being unable to get within one despite an open net look with a minute to go. Why does the league even have goal judges if the Officials don't listen to them? Good question. What's worse - the Referee indicating he's going to the goal judge, only to have the Referee disregard his opinion after conferencing with him anyway OR having the Referee not even acknowledging the goal judge's presence? What will no doubt drive the Bulldogs and their fans absolutely beyond the point of mad, is that sometimes the Referees DO listen to the goal judges. Dan Tisserand remarked post game that he remembered almost the exact same situation - however with the exact opposite decision in the end by the Referee going against the Bulldogs. I went back and looked through the archives, and sure enough, Dan is right. In this instance the Bulldogs were on the road, and the opposition scored, or appeared to do so. The Referee would wave the goal OFF. He would then go and have a discussion with the home-ice goal judge. He would then reverse his original call and allow a goal. Ouch. Third period shots favoured the Bulldogs 16-7, for a game total of 40-31 with Brody Claeys taking the loss while Evan Johnson picking up the win. The Dog went 0 for 5 on the power play while the Clippers went 3 for 5. The Dogs are next in action Saturday night in Victoria. It's the first meeting at the Dog Pound between the teams since November as the Bulldogs (16-23-3-3, 5th Island) host the Clippers (31-15-1-1, 1st Island) tonight at the Mutliplex. 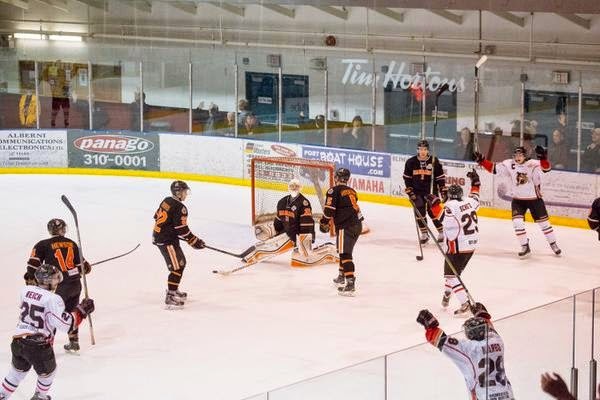 The Dogs last played Saturday night at home where they topped the Surrey Eagles 5-2. The Clippers were last in action Sunday afternoon at home where they had their four game winning streak snapped - while pushing their unbeaten streak to five - with a 2-2 tie against the Salmon Arm Silverbacks. These teams last met January 6th in Nanaimo - where four of the six games have been played so far in the season series - where the Clippers picked up a 5-2 win. The Clippers lead the season series 4-2, out scoring the Bulldogs 23-18. The Dogs have out shot the Clippers 209-190. The teams have combined for a crazy total of 16 power play goals, with the Bulldogs going 9 for 36 on the power play while the Clippers have gone 7 for 32. All of the above of course doesn't matter once the puck is dropped tonight, but it's some interesting info to digest. Myself, Bruce MacDonald and Dan Tisserand will have all the proceedings covered for you on Pacific Chevrolet Bulldogs Hockey live from the Dog Pound on 93.3 The Peak FM with the pregame show on the air at 6:45 and the puck dropping just after 7:00. I will call the play-by-play, Bruce will provide the colour and analysis and Dan will compile team and player statistics. While he was only a Bulldog for one season (2012-2013) it was certainly a memorable one, as he was named the Most Valuable Player as the team went on a crazy playoff run, winning the Island Division after series wins over the Clippers and Grizzlies. The above picture is one of the most lasting memories I have not only of the 2012-2013 Island Championship season - but of my entire time covering the Bulldogs from 2003 to present. To set the scene - the Bulldogs reverse swept the Clippers in the final game of their first round series in Round 1 at the Frank Crane Arena. About 25 minutes after the game was over and the postgame show was done and all the equipment was packed up, I walked out of the back door of the rink to head to the bus. When I opened the door it was like opening the door of a hot oven as I was immediately hit by a wall of noise that sounded like a riot. What the heck is going on, I thought. I walked around the corner and saw not only the Bulldogs bus in the parking lot, but also the three fan busses that had come from Port Alberni to the game. To quote Slap Shot, it was a carnival like atmosphere to say the least, as they were celebrating the victory and having a big party in the back parking lot of the Frank Crane Arena. 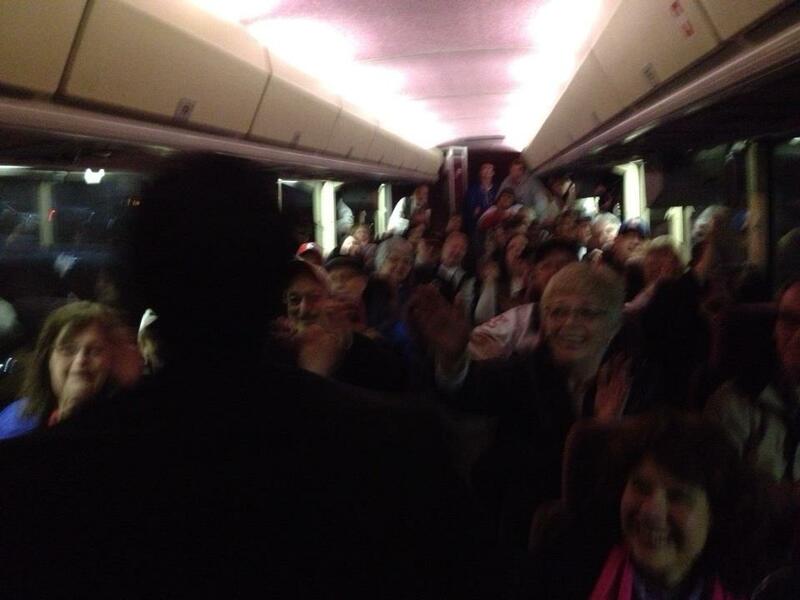 One bus would repeatedly chant the names of whoever they saw outside until they came onto the bus for an ovation. They chanted my name so I walked on and was just blown away by how cool it all was. I walked off the bus and then followed Jay Deo on and took the above picture. Incredible stuff! A highlight of the year candidate without question! Thanks to Greg Balloch of the Surrey Eagles for the great action shot. It was very obvious from the get go that the Bulldogs came ready to play as they had a noticeable jump in their step off the opening puck drop. There was no scoring through the first twelve minutes of the game, but the Dogs had the better of the chances and an early 12-5 lead in shots. The Eagles would earn the first power play, but the Dogs had the better of the chances and zone time with Liam Conrad getting a nice ovation from the crowd after killing 15 to 20 seconds while freezing the puck alone against four Eagles behind the Surrey net. Another penalty would go against the Dogs soon afterwards, and the Eagles would connect on it when Tyler Andrews was left un-checked as he skated in alone on a breakaway where he went top corner, short-side over the glove of Carson Schamerhorn. 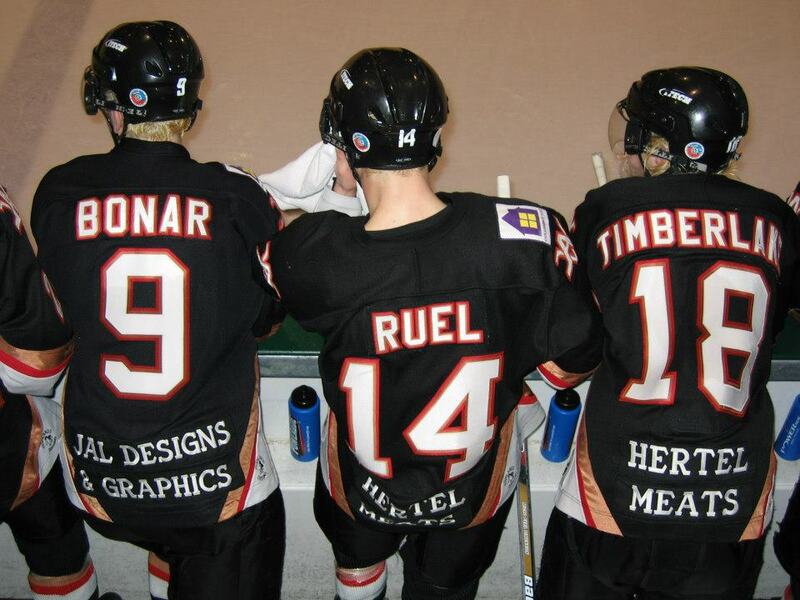 Assists on the play went to Kurt Black and Austin Anselmo at 14:32 of the first. The Eagles had a couple back to back opportunities to build the lead off of faceoffs in the Dogs end, but Carson Schamerhorn kept it a one goal game. The Bulldogs didn't sag despite falling behind, as they got the equalizer four minutes later when Eric Margo threw a check and dug the puck out of the right corner of the Eagles zone and threw it to the slot. It would bounce off of Chris Schutz, off Quinn Syrydiuk and then back onto the stick of Schutz who made no mistake hitting the open side to make it 1-1, from Syrydiuk and Margo at 18:00 of the first. Shots favoured the Bulldogs 18-13 after 20 minutes. The second period saw the Eagles come out with a jump in their step, as they had an early edge in shots. A very scary incident a couple minutes later would bring about a long delay of approximately 33 minutes as Tristan Bukovec and Donovan Ott chased down a loose puck on the boards at centre ice. Ott would appear to stumble at they both contacted each other in making a play on it as he went in head first into the boards and appeared to be in some duress and having a seizure as both trainers raced off their respective benches and a paramedic in the penalty box directly in front of the incident also came to his aid. As Ott left the ice on a stretcher with ambulance attendants he gave a thumbs up to the crowd who gave him a roaring ovation which was obviously very nice to see. Once the game finally resumed, the Dogs had the better of the play and had several great chances but Justin LaForest was solid in the Eagles net to keep it tied. The Dogs would earn back to back power play opportunities in the latter stages of the period and had countless opportunities - including 8 shots alone on one power play, but they couldn't bury one. The Eagles would take the lead late in the frame when the Dogs got caught up ice and gave up another partial breakaway on an odd-man rush that was very similar to their first goal as Tyler Andrews sent Paul McAvoy in alone where he went bar-down short side high over the blocker of Schamerhorn to make it 2-1, with Kurt Black also drawing an assist at 15:05 of the second. The Dogs again pushed back as the period ended but couldn't get the equalizer. Shots in the period favoured the Bulldogs 15-5, for a two period advantage of 33-18. The Dogs pushed hard to erase the deficit in the third period, getting a bunch of pucks on net but continuing to be snake bitten early as the Eagles protected the lead. The Dogs failed to connect on an early power play chance, but connected soon afterwards as Chris Sarault fed a pass to Troy Dobbs at the right point, where he simply put a quick release low on net where it was stopped by a screened LaForest. He couldn't control the rebound though, and Liam Conrad fired it home into the open side to make it 2-2 at 7:22 of the third with Dobbs and Kraus drawing the assists. Less than two minutes later it was a 3-2 Dogs lead on a goal that almost defies description as Garrett Halls put a perfect stretch pass from his own zone onto the tape of Jordan Sandhu up the right wing over the Eagles line. Sandhu would drive hard to the net, put the puck back between his own legs with a nifty move, and then lift a perfect backhand top corner, short-side high to lift the fans out of their seats and drop a thousand jaws in disbelief with most people no doubt not believing what they just saw. Garrett Halls also drew an assist on the play at 9:06 of the third. The Dogs kept up the attack and less than two minutes later again made it a 4-2 game when Adam Donnelly won a neutral zone faceoff onto the tape of Ryan Finnegan who immediately attacked the Eagles zone down the right wing before putting a perfect pass to the slot to Nathan Dingmann who fired a wrister off the glove of LaForest and in at 10:59 of the third. The Dogs would complete the scoring three minutes later as Nathan Dingmann returned a pass to Ryan Finnegan, who walked behind the net and out the left side before spinning and firing a perfect shot top corner, far-side past a perplexed LaForest to make it 5-2 at 13:59 of the third for the eventual final score. Shots in the third favoured the Eagles 12-10 with the game total favouring the Bulldogs 43-30 as Carson Schamerhorn picked up the win while Justin LaForest took the loss. The Dogs went 0 for 4 on the power play while the Eagles went 1 for 4. The Dogs are next in action Wednesday night when they host the Nanaimo Clippers. It's the first meeting of the season between the teams as the Bulldogs (15-23-3-3, 5th Island) host the Surrey Eagles (6-34-0-2, 6th Mainland) tonight at the Dog Pound. 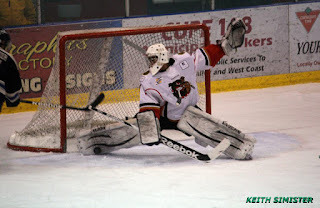 The Bulldogs were in Powell River last night where they had their unbeaten in three streak snapped with a 3-1 loss to the Kings. 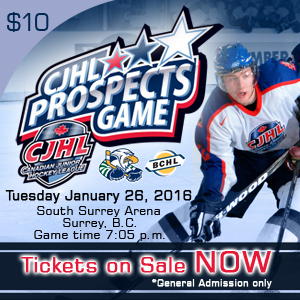 The Eagles were in action last night in Nanaimo where they lost their third in a row 5-1 to the Clippers. The Bulldogs need to focus on what they need to do for tonight's contest, and not worry at all about their opposition. No disrespect intended to the Eagles, but one can argue it's human nature to expect less of a team with the record they have. Having said that, if you don't come prepared to play it's going to be tough to end up on the right end of the scoreboard at the end of the night and the Dogs can ill afford that as it's getting pretty close to must-win territory if they hope to make the playoffs. Despite their record you can bet that the Eagles will be ready to play with a couple former Bulldogs on their roster in Tyler Cooper and Brett Stewart. Here's hoping that Owen Johnson will be as equally excited to face his old team for the first time and that the rest of the Dogs can feed off that. We'll have it all covered for you as we always do on Pacific Chevrolet Bulldogs Hockey on 93.3 The Peak FM with Bruce MacDonald providing the colour and analysis while Dan Tisserand compiles team and player statistics and I provide the play-by-play. The pregame show will get things going at 6:45, with the puck drop and play-by-play to follow at 7:00pm. 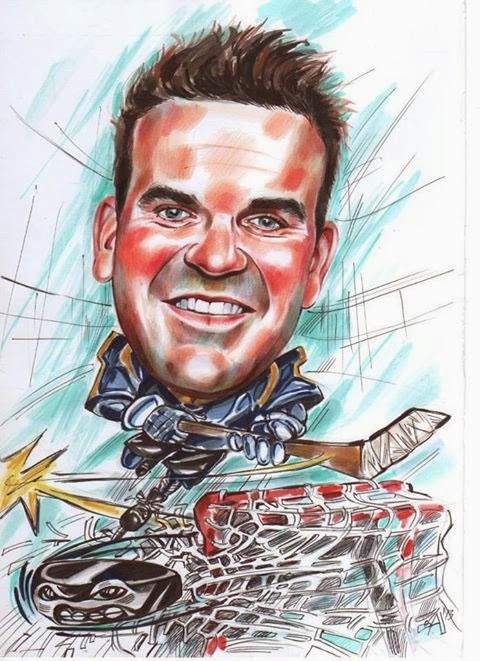 Tonight's 2nd Intermission guest is former Coquitlam Express owner Darcy Rota, former Vancouver Canuck and one of the guest coaches for the CJHL Prospects Game which goes Tuesday night in Surrey. The interview was from last week's BCHL This Week program on TSN 1410 - catch the show every Saturday morning at 9:30am on TSN 1410. A high pace early through the first five minutes, but not much in the way of chances. That changed in a hurry as the Kings intercepted a poor outlet pass just outside the Dogs line and turned up ice on the attack with numbers, as Austin Kamer was sent in alone on the breakaway that he converted on with a wrist shot high short-side over the glove of Claeys. Gavin Rauser drew the only assist on the scoring play at 7:03 of the first. Claeys would be called upon to keep it a one goal game on the next shift, as he came up with a big save on a partial breakaway opportunity for Kyle Betts. The Kings would out shoot the Dogs 15-6 through the first. The Bulldogs were penalized in the opening 10 seconds of period two, but held the Kings off the board on the advantage thanks to a couple solid saves by Claeys, one of the highlight reel variety that had the goal light on behind him but the Referee right at the net waved it off. The Dogs got their feet under them as the period wore on, and had some good opportunities in tight but couldn't beat Stefan Wornig. With five minutes left in the period Eric Margo was sent to the box for a double minor after he clipped Nick Nonis with a high stick and drew blood. Claeys again came up with a couple good saves, and the Bulldog penalty killers did a fantastic job to kill off the four minutes to keep it 1-0. The Dogs had a couple fantastic looks in tight in the last 30 seconds of the period but couldn't capitalize as it remained 1-0 through 40 minutes. Shots in the period favoured the Kings 15-11 for a two period advantage of 30-17. The first moments of the third period saw the Dogs earn their first power play of the game, only to have it taken away just six seconds later when Eric Margo was called off the draw for slashing, bringing about an ejection for three stick infractions in the game. I'm not sure if he didn't have three already, with a minor and a double minor through the first two periods. The score would stay 1-0 Kings through the middle point of the period, with the Dogs being unable to generate much in the way of chances or zone time. The Dogs would push hard in the back half of the third, and earn a power play with four minutes to go. Looking for the equalizer, the Dogs never looked good on the power play and instead coughed the puck up and gave up a breakaway that Kyle Betts converted on with a nice move to out wait Claeys to make it 2-0 with 3:05 to play, with Nick Halagian and Jeremy Leclerc drawing the assists on the short-handed marker. Credit to the Dogs for not quitting, as it would have certainly been easy to feel the game had been lost at that point, as they pulled the goalie to make it a 6 on 4 and finally connected on it as Troy Dobbs put a shot on net from the top of the point that was stopped by Wornig, but a rebound came out and a mad scramble ensued that saw Nathan Dingmann and Quinn Syrydiuk get a poke at it before Ryan Finnegan poked it home to make it 2-1 with 2:05 left. The Dogs would again pull their goalie soon afterwards but couldn't get any zone time as a shot was blocked and found at centre by Nick Halagian who hit the empty net to make it a 3-1 final, unassisted at 18:47 of the third. Final shots favoured the Kings 40-31 with Stefan Wornig picking up the win while Brody Claeys took 2nd star honours with the loss. The Dogs went 1 for 2 on the power play, while also conceding the game winner shorthanded. The Kings went 0 for 5. The Dogs are back at it tomorrow night at home when they host the Surrey Eagles. Its the eleventh straight game against an Island Division opponent tonight for the Bulldogs (15-22-3-3, 5th Island) as they take on the Powell River Kings (24-18-2-0, 2nd Island) at the Hap Parker Arena. 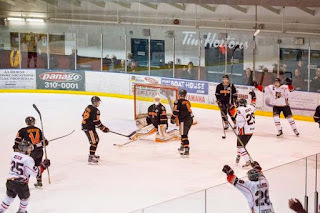 The Bulldogs enter play tonight unbeaten in three games with two wins and a tie - they were last in action Saturday night at home when they topped the Cowichan Valley Capitals 5-0. The Kings begin a nine game home stand tonight, and were last in action Sunday afternoon where they finished off a three-in-three road trip and a stretch of six straight road games with a big 6-4 comeback win over the Trail Smoke Eaters. The Kings were down by two goals with less than ten minutes to play before mounting their comeback - no easy feat at the end of a three-in-three weekend. These teams last met head-to-head January 10th at the Dog Pound, a 6-1 Bulldog win. The Kings lead the season series with a 4-1-0-0 record while the Dogs are 1-3-0-1. The last two meetings in Powell River came on December 30th and 31st, where the Kings won 2-1 in OT and 5-0 respectively. If you aren't making the trip to Powell River fear not, as I'll make you feel like you are there - or I'll at least try to - on Van Isle Ford's Bulldogs Hockey Broadcasts on 93.3 The Peak FM. Tune in at 7:00 for the pregame show with the puck drop and play-by-play to follow at 7:15. Tonight's 2nd Intermission guest is Kyle Balzer, the play-by-play voice of the Surrey Eagles. The Bulldogs return home tomorrow night to host the Eagles for the first meeting between the teams this season. 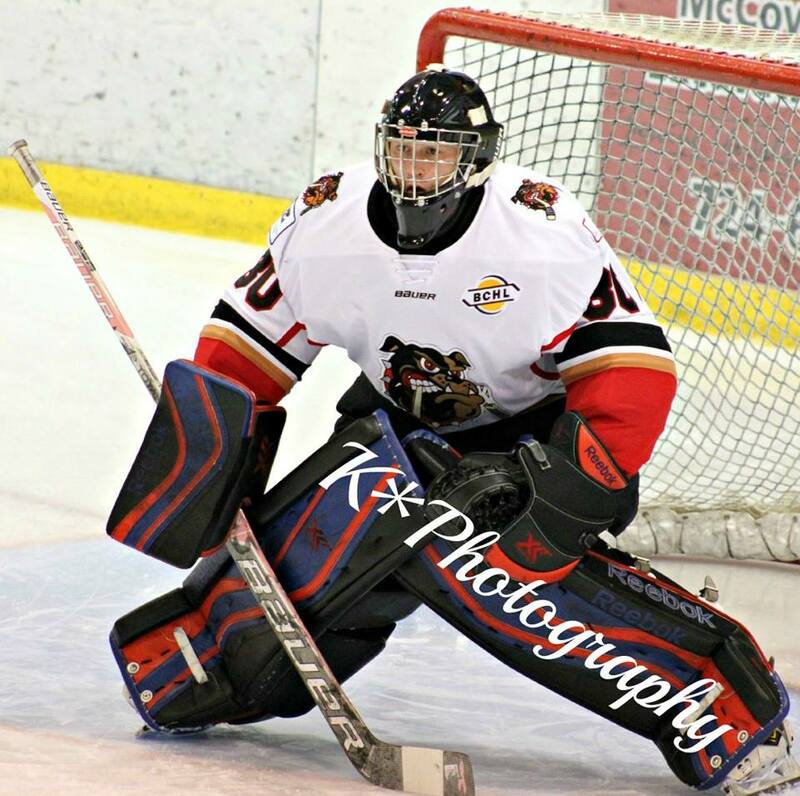 Congrats to Bulldogs goalie Brody Claeys, who picked up an Honourable Mention in the BCHL Player of the Week selection this week! 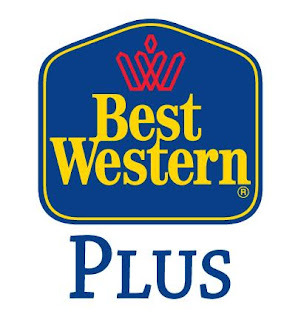 A couple highlight reel stops from Brody can be viewed by checking out the video below. If you haven't yet heard the terribly sad news from earlier this week, former Bulldog Matt Hutchison tragically lost his life Sunday in New York. If you would like to help his family with the memorial, please click this link for further details. Matt was signed by the Bulldogs in June of 2009. While he didn't crack the Bulldogs game night roster and was subsequently released that September, a true testament to his character is illustrated in how he dealt with what was no doubt a disheartening set back. He didn't get deterred or pack it in like some do - he refused to quit. 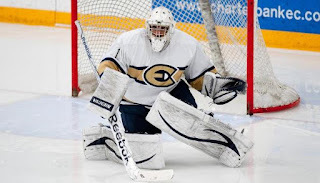 Matt ended up playing with the OCN Blizzard of the Manitoba Junior Hockey League and Quesnel, Coquitlam and Chilliwack of the BCHL before moving on to the State University of New York at Geneseo where he was in his fourth year playing hockey and earning his degree. 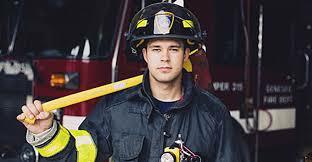 If it wasn't enough being a student athlete - which is an incredibly hard thing to do on a day to day basis, Matt was also a Volunteer Fire Fighter. The world lost a good one, and Matt was certainly taken from it much too soon. Another great start for the Dogs, as they scored first for the fourth straight game when Nathan Dingmann snuck one in short-side past Lane Michasiw from the left side of the net just seconds after Ryan Finnegan had rung one off the bar - a shot I thought hit the back bar and came out. The goal was at :56 seconds of the first, with Ryan Finnegan picking up a Troy Dobbs rim and sliding it out front to Dingmann to earn the assists. The Dogs kept up the pressure and drew a power play that they connected on quickly as Nathan Dingmann dug it back to the right point for Paul Meyer, who went cross-ice to the left circle where Chris Schutz ripped a one-timer through the legs of Michasiw to make it 2-0 at 8:06 of the first. The Capitals would get two power play chances throughout the remainder of the period, and the shots went from 11-1 in favour of the Bulldogs to even at 12-12 after 20 minutes as Brody Claeys came up with a handful of outright ridiculous stops in tight on Ryan Burton, Kade Kehoe and Matt Hudie most notably, as it stayed 2-0 Dogs after 20 minutes. The Dogs came out buzzing to start the second, finding the net before the period was a minute old as Tristan Bukovec fed Troy Dobbs on the top of the right circle where he snapped one on goal that was stopped by Michasiw. It looked like it was in his glove, but it spit out in front and Bukovec slid it cross-crease where Chris Schutz one-timed it home to make it 3-0 at 39 seconds into the second. The Dogs doubled the lead in the back half of the period, failing to connect on an 11 second 5 on 3 advantage, but making good on the second penalty when Nathan Dingmann put a one-timer on net from the right circle off a cross-ice pass. It was found in front by Adam Donnelly, who put a quick shot on net that resulted in a cross-crease rebound that was hammered home by Rhett Wilcox for his first as a Bulldog - against his old team for good measure - to make it 4-0 Dogs at 12:06 of the second. The Dogs had several containment shifts through the remainder of the frame but couldn't connect on several near misses in tight. Shots favoured the Bulldogs 17-12 for a two period advantage of 29-24. For the third straight period, the Dogs struck early in the third to lead 5-0 as Quinn Syrydiuk banked it out of the Dogs zone up the left wing to the line where Eric Margo out-fought Connor Russell to skate up ice on a long 2 on 1 rush. Margo would keep the puck, and it was a good decision as he snapped one far-side off the post and in past Michasiw at 1:19 of the third from Quinn Syrydiuk and Chris Schutz. The Dogs had a 5 on 3 opportunity late in the third, but that would do it for the scoring, as the Dogs made the lead stand and shut out an opposition for the first time this season. Third period shots favoured the Dogs 17-10 for a game total of 46-34 with Brody Claeys picking up the win, his first career shut out and first star honours while Lane Michasiw took the loss. The Dogs went 2 for 5 on the power play while the Capitals went 0 for 3.